When motorcycles are stolen and recovered by the police, insurers will auction them off. If you are looking at buying a used motorcycle this can be an option. 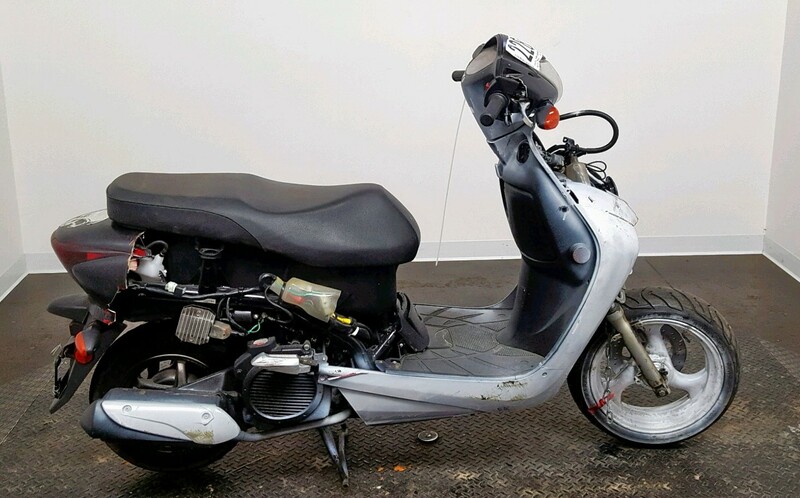 Question is: can you bid on stolen and recovered motorcycles? The short answer is yes. Over 44,000 motorcycles were stolen in 2017, slightly down from 2016. The stolen brands in order are the following: Honda, Yamaha, Suzuki, Kawasaki, and Harley Davidson. While stolen cars have a 60 percent recovery rate, motorcycles are at 42 percent. This means police recover around 18,000 motorcycles each year. What Happens When A Bike Is Reported Stolen? Theft victims usually call the police and the insurance company. If the bike is not recovered within a couple of weeks to a month, it is written-off and the owner paid. If the bike is recovered after that time period, the motorcycle is considered a “stolen and recovered” vehicle. It gets a theft recovered salvage title. Then the bikes are sent to auction. Given the number of recovered motorcycles, there are thousands of stolen and recovered bikes that are sent to auction each year. Unfortunately, thieves strip many of these motorcycles. It is fairly easy to remove major components and ornamental parts off a bike. Cars can weigh upwards of 3000 pounds, the average motorcycle weighs 300 pounds. Their small size and low weight make them easier to move and strip than bigger vehicles. Which these Florida motorcycle thieves illustrated perfectly. They rode around in a U-Haul looking for bikes to steal. Regardless, there still are a number of pretty good, fairly intact, motorcycles that cross the auction block. Be careful dealing with salvage title motorcycles. Do your due diligence. Check to see if the bike has been stripped or vandalized. Run the VIN number to make sure there aren’t any accidents listed on the title. Get the police report from the incident. Did the thieves abandon the bike? Did they hide it outside? You also don’t want something that was exposed to the elements. Once you research the bikes, you can find some very good options. Unlike other salvage title motorcycles, these bikes are less likely to have serious physical damage. They are usually cheaper than the same model in the used bike market. Finally, you are ready to buy! You can register with auction sites specializing in salvage motorcycles like salvagebikesauction.com where at any given day there are many stolen and recovered motorcycles for sale. Good luck and happy bidding!